Or that he would come face-to-face with the one girl he could never forget. You know how sometimes you meet a secondary character in a series and think, "Hmmm...he's intriguing. I'd like to know more about him." but his role in the series isn't significant enough to warrant his own book? And then, you meet him again in the author's next series? Still intriguing but still, no story. And then...one day you're in the goodie room at a conference and you pick up an advanced copy of an upcoming book by said author. You don't read the back cover blurb because she's one of your favorite authors and you know you'll be reading the book, no matter what it's about. Then, later, you open the book and read the first few pages and suddenly you realize...OMG!...it's his book. It's Steve - freaking - Springfield's story! Yeah, to say I was excited would have been a massive understatement. But then you start to worry. You've been anticipating this story for almost three years...through eight books. What if it doesn't meet your expectations? It met my expectations. I read the entire book in one day. Then I read it again. And, recently, I read it for a third time. 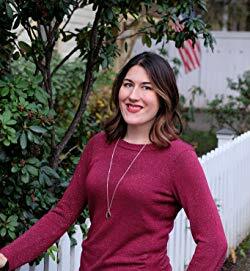 Once again, Katie Ruggle has penned a story that's funny, suspenseful, and emotional, filling it with everyday characters who are so vibrant, complex, and real that I forget they're characters and begin to think of them as actual people. Steve is such a good guy and a great dad. I adored him. And Camille, well, she's someone I just want to wrap up in a big, warm hug...except that would probably freak her out so much that she'd go running from the room. Steve's kids (who range in age from 10 to 15) come close to stealing every scene they are in but he and the kids are a package deal and I can't imagine enjoying this book - or Steve and Camille's relationship - as much as I did without all four of the kids. Each of them is unique and interesting in their own right. I'm hoping their characters will continue to develop throughout the rest of the series. Setting this first book in the new series at Steve's family Christmas tree ranch brings his three single brothers into the equation as well. I love how Ruggle digs into family dynamics - and dysfunction - in her books and I can't wait to find out what she has in store for the Springfields. Another of Ruggle's strengths is her ability to slow build suspense throughout a story as she once again does in this book. It's not in your face but over your shoulder, always there, as it builds to a climax with a twist that I never saw coming. I'm very curious to see how that twist factors into the rest of the series. If you enjoy romantic suspense with characters who will capture your heart and twists and turns that will leave you guessing, all wrapped up in a beautiful Colorado, postcard-worthy, Christmas tree ranch, then you'll want a copy of Katie Ruggle's Rocky Mountain Cowboy Christmas under your tree this year. If you're interested in going back to when Steve Springfield and his family were first introduced to readers, pick up a copy of On His Watch, the prequel novella to Katie Ruggle's debut Search and Rescue series. It's currently free. If you enjoy feel-good, contemporary romance that tickles your funny bone, tugs at your heartstrings, and surrounds you with a whole community of people with whom you'd like to be friends, there really isn't any better fictional town to visit than Emily March's Eternity Springs. In this 16th book of the beloved series, March brings readers another second generation love story when unlikely Santa, Devin Murphy finally meets his match in Dr. Jenna Stockton. I really enjoyed these two. They are likable characters who come to know one another through unlikely calls to Santa made by Jenna's son long before they ever meet in person or even know one another's names. I enjoyed how March created the connection between them, allowing it to build over time before they actually become part of one another's lives, and bringing them together when Jenna and her son have both lost hope. Of course, their path to love is not without some major roadblocks, including the stalker Jenna's running from, her traumatized son, emotional baggage from Devin's past, and the tiny obstacle of Jenna and Devin living on different continents. It's going to take a whole boatload of family and friends (thankfully, Eternity Springs is bursting at the seams with them) to vanquish Jenna's tormentor and help them find their way. Mostly, though, it's going to take two people having the courage to believe, the willingness to compromise, and the strength to fight for their happiness. Luckily for us, Eternity Springs is a place of hope, a place of joy, a place where hearts heal, and unspoken Christmas wishes come true. It's a place I never tire of visiting and a stop I encourage you to add to your holiday reading list. 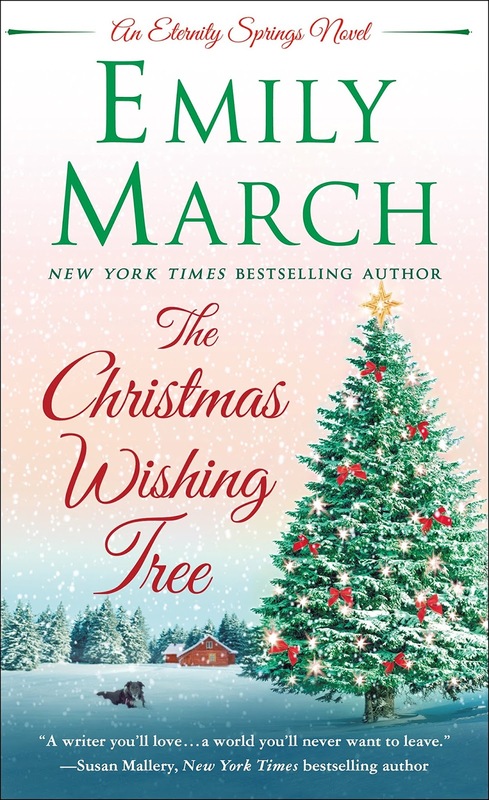 Don't let the fact that The Christmas Wishing Tree is the 16th book in this long-running series scare you away. While fans of the series will undoubtedly enjoy catching up with Eternity Springs residents (exciting news for many of our favorite couples! ), those new to the series should have no trouble enjoying Devin and Jenna's story on its own merits. Are you a fan of the Eternity Springs series? Jenna's son chooses dog-themed ornaments for his Christmas tree. Do you have a special theme for your tree? When do you put up your tree? With only a suitcase to her name, McKenna came to Gold Valley to confront her birth father. She didn’t plan to work at the Dodge ranch or fall for the gorgeous cowboy who keeps his heart roped off. But there’s no denying the way their broken pieces fit together. Hope brought her to Gold Valley—but will it be the gift that could finally heal Grant, and McKenna’s own wounded heart? I knew as soon as I met grouchy, closed off, emotionally wounded Grant Dodge in an earlier book that I wanted to read his story. I also knew that the woman to bring him back to life would need to be strong, sassy, and unwilling to take his crap. McKenna Tate is all that and so much more. I loved these two together. Life hasn't been kind to either of them though the experiences that brought them to this point in their lives were very different. Those experiences have toughened them but they have also left them vulnerable and hesitant to reach for happiness. McKenna is prickly and defensive while Grant has become an emotional hermit, finding solace in a bottle all too frequently. McKenna's inability to give up hope in the face of too many rejections endeared her to me while Grant's struggle to find an identity apart from the sympathy and pity tied to his past struck a chord of realism in light of my own life experiences. The attraction between Grant and McKenna is potent yet both resist its emotional pull initially and Grant, for much longer. Yates does an outstanding job of guiding them along their sizzling sexual and heart-tugging, emotional journey and I was with them every step of the way. Maisey Yates has created an intriguing community of characters within her Gold Valley series of books, many of whom weave in and out of this story. The book is written in such a way that a new reader shouldn't be lost but I do think readers will have a deeper understanding of all characters, and their actions, if they have read the three previous Gold Valley books. I loved each and every one of them. The books, in order, are: Smooth-Talking Cowboy, Untamed Cowboy, Good Time Cowboy, and A Tall, Dark Cowboy Christmas. Have you read any of Maisey Yates' books? Do you have a favorite Gold Valley couple? 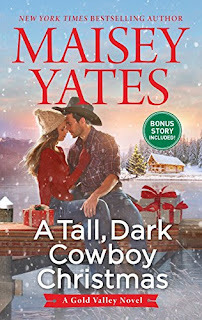 A Tall, Dark Cowboy Christmas is my first Christmas romance of the season. When do you begin reading holiday romances? 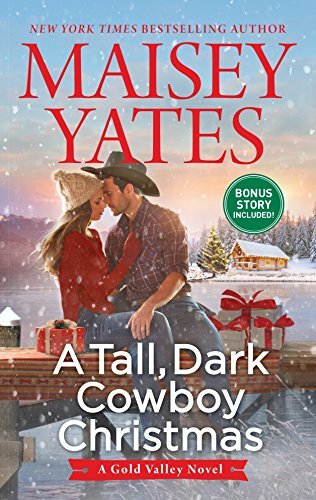 One randomly chosen person who leaves a comment before 11:00 PM (EST), September 25 will receive a print copy of A Tall, Dark Cowboy Christmas. birthday wishes and fun yesterday. Mrs. Brodie's Academy for Exceptional Young Ladies. 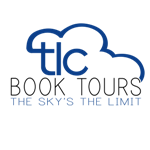 theromancedish (at) gmail (dot) com. I'm delighted to welcome Theresa Romain and Shana Galen, the authors of Mrs. Brodie's Academy for Exceptional Young Ladies, to the blog today. These two bestselling historical romance authors are among my favorites and I was so excited to learn they were combining their talents to produce this new novella duet set at an exceptionally unconventional academy for exceptional young ladies. I thoroughly enjoyed both stories and have hopes that they will consider revisiting the academy in the future. Please give them a warm welcome! Hi, everyone! We’re so glad to be visiting The Romance Dish today—happy birthday, PJ! 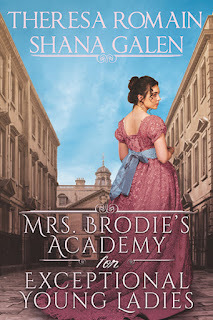 To celebrate PJ’s birthday (*wink*), we’ve got some trivia, excerpts, and giveaway goodies to share about our historical romance novella duo, Mrs. Brodie’s Academy for Exceptional Young Ladies. 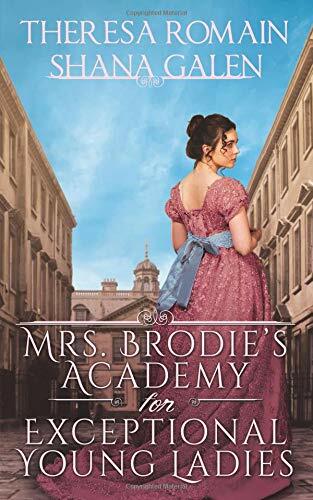 Mrs. Brodie’s Academy for Exceptional Young Ladies appears exclusive and respectable, a place for daughters of the gentry to glean the accomplishments that will win them suitable husbands. But the academy is not what it seems. It’s more. Alongside every lesson in French or dancing or mathematics, the students learn the skills they’ll need to survive in a man’s world. They forge; they fight; they change their accents to blend into a world apart. And the staff at the academy find a haven from their pasts…and lose their hearts. As you might guess, we had a LOT of fun writing this! 1. This is a second chance at love story featuring Marianne Redfern, the cook at the exclusive Academy, and Jack Grahame, the first love who broke her heart years ago. These are all-new characters, so it can easily be read as a stand-alone story! But I’m also considering it part of my Romance of the Turf series because of Mrs. Brodie. She's Anne Jones, alias Janet Ahearn-- the villainess (or is she?) of the first two Romance of the Turf novels. She and her school will be a big part of the final book in that series, His Wayward Bride, coming out next spring. 3. Have you heard of the custom of "telling the bees"? It has never been so common in the USA as it historically was in England. The tradition was that bees on one's property needed to be told of big life events--marriages, deaths, births--or they'd get distraught about being excluded and would leave the hives or stop making honey. I’ve always thought this was a charming tradition, and Marianne and Jack make certain to keep the bees informed of major life changes. “Where did you get this honeycomb?” Marianne asked. Yet all of that belonged firmly in the past. The Redfern land now belonged to the Grahames, sold by Marianne’s mother upon being widowed five years before. Jack’s father had been living then, and he’d snapped it up using the Wilcox money that had passed into his hands. There was no room for Marianne and Jack in that memory anymore, certainly not together. “And honeycomb,” he pointed out. The fiend. Did he know that was all she’d once wanted? Did she know what she wanted from him now? He poked through the paper and touched the discarded honeycomb with a gentle forefinger. Then he folded the brown paper over it, packing it away. Done, Marianne thought. He’d listen, and he’d stop now. Instead, he said, “Then I’ll keep right on.” Stepping closer, he cradled her face in his hands—and he kissed her. In my novella, “Counterfeit Scandal,” the heroine Bridget has a talent for counterfeiting currency. She learned from her father, who was a British operative during the American Revolution. In researching counterfeiting during this time, I learned that one method the British employed to win the war as attempting to crash the nascent American economy. By counterfeiting mass amounts of paper money, the British could render legitimate money worthless. As is the case now, money was printed on special paper. The British captured a ship with a large cargo of the special paper and were able to counterfeit large amounts of currency and put it into circulation. In fact, at one point during the war John Adams wrote to his wife to be careful when accepting any paper money. Bridget has spent time in Fleet Prison for debts. Debtor’s prison was notorious for the poor conditions those imprisoned endured. If prisoners wanted decent food, a bed, or a fire, they had to pay for it. Pretty ironic considering this was a debtor’s prison. Many prisoners died before they could ever repay their debts or finish their time and be set free. In “Counterfeit Scandal,” Bridget is searching for her son, who she gave up when she went to debtor’s prison. The hero, Caleb, tells her they should ask Joseph Merceron. Joseph Merceron was a real person and a magistrate; he was known as The Boss of Bethnal Green. He was also notoriously corrupt, lining his own pockets and those of his friends at the expense of the poor people he was supposed to be serving. where Bridget tries to see Merceron. Bridget reconsidered that statement a quarter hour later when she stepped into the Hog and Hen. The place looked as though the hog and hen in question had run rampant through the public rooms. She’d entered by herself about five minutes after Caleb had gone in. He’d told her he’d stand near the bar, and she spotted him easily. She must have looked as uncertain as she felt, because he gave her a firm nod as though to say, You can do this. She took a breath, straightened her shoulders, and moved forward. Of course she could do this. She’d dealt with crying, screaming, fighting ten-year-old girls. A corrupt politician was nothing to her. She made her way to the bar, aware that several pairs of eyes followed her. She was dressed more…completely than most of the women in the place, but she wasn’t here to advertise her charms. Still, her lavender gown and spencer were nothing to make anyone take notice. In an area of Town known for its silk weavers, the cloth of her dress was obviously inferior, as were her battered half boots and her drooping hat. She was nothing to waste time over. Without looking at Caleb, who was now only a few feet away, she cleared her throat. The barkeep flicked his eyes at her, then went back to polishing a glass. “What can I get you?” he asked flatly. He muttered something under his breath as she walked away. She hoped Caleb followed. She was trembling now, but Satan himself couldn’t have stopped her from going into that room. Perhaps she would find James today. She might even hold him in her arms tonight. She walked out and continued walking. Tears burned in her eyes, but she wouldn’t give anyone the satisfaction of seeing them. Mrs. Brodie’s Academy for Exceptional Young Ladies teaches all the usual subjects—plus quite a few unusual ones. We’d love to know, what was your favorite subject in school, or what subject would you like to study at Mrs. Brodie’s Academy? To one random commenter on this post, Theresa would like to give away a copy of her historical romance novel Scandalous Ever After and Shana would like to give away a copy of her historical romance novel No Earls Allowed. This giveaway is open internationally, and the winner can choose print or Kindle copies. 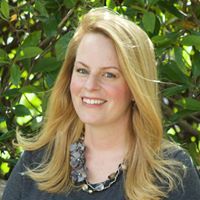 Shana Galen is the bestselling author of Regency historical romances filled with passion and adventure. 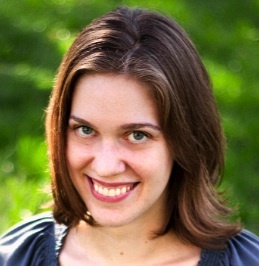 A former school teacher, Galen now balances marriage and motherhood with a full-time writing career. Unmask Me If You Can, book four in Galen's popular The Survivors series will be released November 6th. Connect with her online at Facebook and Twitter and visit her website for more information about her books. A bestselling author of historical romances, Theresa Romain's accolades include starred reviews from Booklist and a 2016 RITA® final for Secrets of a Scandalous Heiress, book three in her The Matchmaker Trilogy. Her most recent full-length book is Lady Rogue (Apr 2018), book three in her The Royal Rewards series. 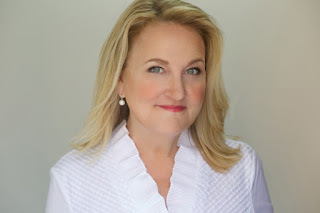 Learn more about her books at her website and connect with her online at Facebook and Twitter. Meg Buchanan is determined to prove she didn't get the trainer job in Redmond, Oregon's rookie smokejumper class because of her family's long history as firefighters - - or out of pity. But if teaching one of her own brothers isn't challenge enough, she's shocked to see Lance Roberts in the new class of recruits. Once her brother's best friend, and her first, unrequited crush, he's also the son of the man responsible for her dad's death. I fell in love with Marnee Blake's writing while reading her debut trilogy. While New Adult is not my usual cup of tea, Blake's suspense-filled, action-packed, NA paranormal series kept me on the edge of my seat, eagerly turning pages until I finished each riveting story. 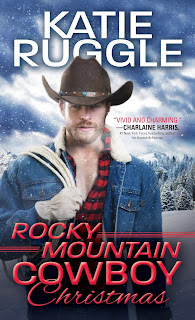 When she announced her new series - contemporary, romantic suspense stories set within a community of smokejumpers in the Pacific Northwest - I didn't even have to think before jumping onboard. I am happy to report that this first book, Tempt the Flames, is a satisfying page-turner that has me eagerly anticipating the books to come. Ten years ago, one fateful mistake resulted in the deaths of both Meg's and Lance's fathers, best friends and fellow smokejumpers. The accident was blamed on Lance's father and, in an instant, life was changed for both families. Sympathy and compassion were heaped upon the Buchanans by the residents of their small town while Lance and his mother were treated with suspicion and animosity. They eventually left Redmond, moving to California and Lance, burdened with guilt and anguish over his father's actions, cut ties with his best friend, Hunter Buchanan and the girl he had always secretly liked but could never have, Hunter's younger sister, Meg. Over the past ten years, Lance has made a name for himself in California firefighting and now he's returned to Redmond to fulfill his dream of becoming a smokejumper. But small town memories are long and so are those within the smokejumping community. Will he be given a fair chance? Will people judge him on his own merits or will he forever be tainted by his father's actions? And how far will they go to stop him if they discover why he's really there? Contrary to what Lance believes, his family wasn't the only one adversely affected by the events of that tragic day ten years earlier. Blake does a great job of showing the fractures and dysfunction that have grown within Meg's family as well. Everyone who was impacted by that day still struggles with it's fallout, including Meg and Lance. Will their deepening relationship bring the forgiveness and healing they, and their broken families, desperately need or be the final straw that rips them apart forever? 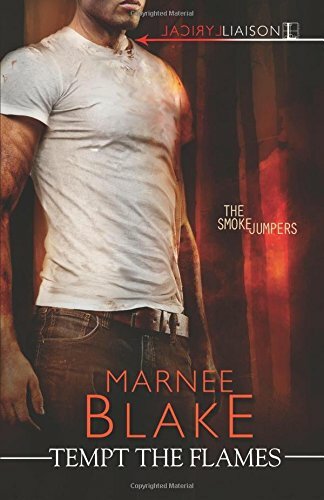 Tempt the Flames pulled me into Blake's high-risk world of smokejumping and into the minds, hearts, hopes, and fears of her characters. I'm intrigued by several of these characters and can't wait to find out which of them will be putting his heart on the line next. If you enjoy contemporary romantic suspense with plenty of emotion, sizzle, action, and a mystery with enough twists and turns to keep me guessing through most of the book, I encourage you to give Tempt the Flames by Marnee Blake a try. Hi Everybody! I'm home, survived Florence with no damage, and am beginning to get back into the swing of things. Thank you again for all of your kind thoughts and prayers over the past two months. I can't begin to tell you how very much it has meant to me. My heart has taken a beating and it will take awhile for me to get back to my normal, happy, optimistic self but I will get there eventually. Here's what's happening at the blog for the rest of September. Thursday, September 20, Theresa Romain and Shana Galen will join us to celebrate their newly released historical romance novella duet, Mrs. Brodie's Academy for Exceptional Young Ladies. Stop by this Thursday to learn more about the secret classes, second-chance romances, fun, and adventure to be found at Mrs. Brodie's unconventional academy. Theresa and Shana are both offering giveaways (open internationally) and since Thursday is also my birthday, don't be surprised if there are a few unexpected giveaways from me as well! 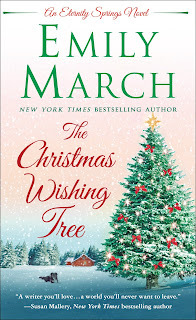 Christmas makes an early appearance on Tuesday, September 25 with Emily March's The Christmas Wishing Tree blog tour. Stop by to read what I have to say about this newest installment in March's popular and heartwarming Eternity Springs series and for a chance to win a copy of the book. I'm working on more reviews so keep an eye out for those over the next few weeks. I'm also working on clearing out my office - getting ready for potential flooding opened my eyes to just how much "stuff" resides there - so watch for some epic book giveaways as well. Were you impacted by Hurricane Florence? Everything okay at your house? What new book releases are you most anticipating?